The season of scam is in full swing. Two months after Netflix and Hulu gave us their duelling Fyre Festival films, HBO has a new documentary about massive fraud for you to obsess about. 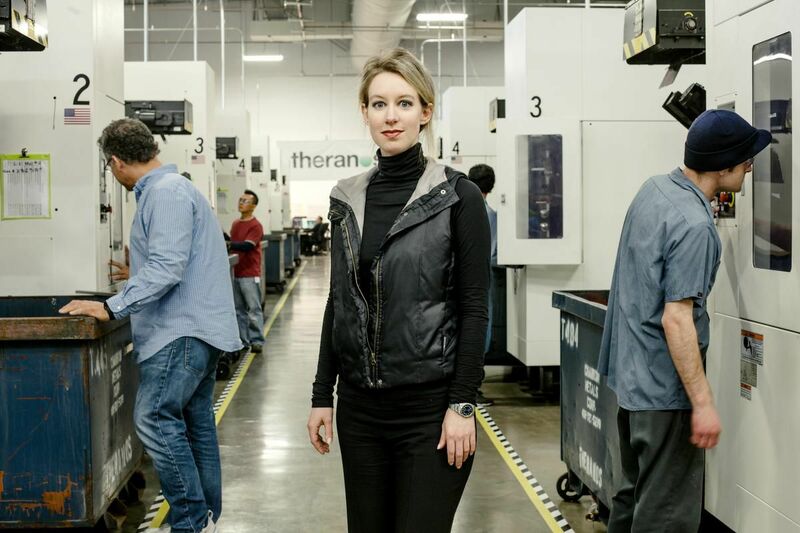 , airing Monday at 9 p.m., follows the jaw-dropping rise and fall of Elizabeth Holmes, the enigmatic young founder of Theranos, whose multi-billion-dollar startup promised cheap, portable blood tests for all. The catch? None of the technology actually worked and results were wildly inaccurate, forcing the company to correct and void tens of thousands of blood tests given at pharmacies where its equipment was used in 2014 and 2015. Following an explosive Wall Street Journal investigation, Holmes was indicted last summer on multiple counts of wire fraud and conspiracy, and Theranos was shuttered months later. Although she now keeps a low profile, Holmes, 35, remains a figure of fascination: she’ll be played by Jennifer Lawrence in an upcoming movie about the scandal. After watching , we asked director Alex Gibney to clear up some facts and theories about the former CEO. 1. How did Elizabeth Holmes dupe so many people? According to ex-employees, Holmes went to great lengths to swindle investors, taking their blood samples before taking them out to lunch. (Meanwhile, lab technicians switched out the equipment and used non-Theranos machines to get results.) She also hobnobbed with celebrities and politicians, who may have helped convince U.S. Food and Drug Administration regulators to turn a blind eye. 2. Did she actually intimidate whistleblowers? Ex-employees say there was a culture of paranoia at Theranos headquarters in Palo Alto, California, where Holmes surrounded herself with bodyguards and allegedly tracked her staff’s online correspondence to ensure no one was exposing secrets or inflammatory information. Company whistleblowers Erika Cheung and Tyler Shultz claim Theranos’ lawyer, David Boies, followed and verbally assaulted them outside of work in an effort to keep them quiet. 3. What’s with the voice? Holmes is known for her husky, baritone voice, which some of her former employees have claimed is fake. Online conspiracies seem to back up the theory that it’s just an act: many Reddit users and YouTube commenters dissected videos in which she appears to “fall out” of the deeper register. 4. Is she trying to dress like Steve Jobs? In the documentary, Holmes shows off her closet filled entirely with black turtlenecks and slacks, which she claims to have worn since she was a young girl. 5. Why does she hardly blink? 6. Could she be a sociopath? Although she quickly got in over her head, Holmes started Theranos with the seemingly pure ideal that if people can administer their own blood tests any time, anywhere, they’re more likely to catch diseases before they become terminal. Gibney declines to call Holmes a sociopath but is troubled by her lack of concern over giving patients faulty blood tests.